mocha Pro 5 is a major update including GPU accelerated tracking and new plug-in options to streamline your VFX projects into a time-saving workflow – no longer leave your host timeline! Plus improved licensing system, new export formats, new Python scripting interface, new purchase options and more. 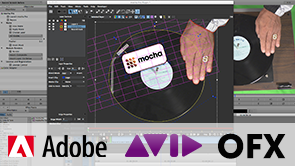 For the first time ever, mocha Pro is being offered as an affordable plug-in to run inside Adobe After Effects CC, Adobe Premiere Pro CC & Avid Media Composer. Support for OFX hosts such as Blackmagic DaVinci Resolve and The Foundry’s NUKE coming soon! New Plug-in Option for Adobe & Avidmocha Pro 5 is now available as a plug-in option for host editing and effects applications. 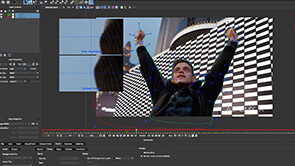 This new capability adds unique tools for planar tracking, masking, and object removal tools and makes them fully accessible in Adobe After Effects CC, Adobe Premiere Pro CC and Avid Media Composer. Plug-in support for Blackmagic DaVinci Resolve and The Foundry’s Nuke coming soon. GPU Tracking Performancemocha planar tracking has been updated to take advantage of supported OpenCL powered video cards for significantly faster motion tracking on high resolution sources. 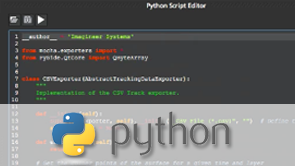 Python Scripting ModuleNew improvements to Python scripting allow Mocha Pro 5 to integrate with asset management systems and background render systems for improved facility integration. 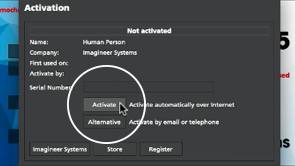 Improved online licensingNew license system enables users to easily activate or deactivate a license and run Mocha Pro on their computer of choice. New export formatsIncludes tracking and masking support for Blackmagic Fusion, Silhouette FX, HitFilm and MochaBlend for Maxon Cinema 4D. Improved batch gmask exports for Autodesk Flame. 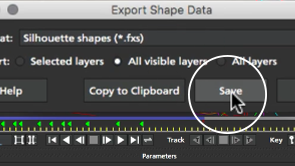 Improvements & Bug FixesIncluding improved layouts, faster project saving, copy/paste layers, lasso selection, center point surface icon, and much more. Interested in volume pricing for enterprise or education? Please contact us!